My Hairdresser- Fabio :) – Life! I am always searching for a great hairdresser. The last 11 years have been interesting. 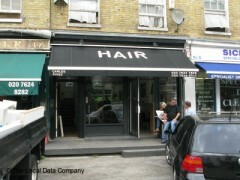 I had some scary haircuts in London until I found Manuel’s on Blenheim Terrace. Carlos colored and Manuel cut. Carlos was brilliant! Singapore was interesting…my hairdresser would come out look at my hair and then go back in the office while his “girls” did the work. My first hairdresser in Tokyo liked giving me orange highlights and when my hair turned a greenish color I stopped going there. My next Tokyo hairdresser turned my whole head an orangish color. Finally, I found the salon I go to now. I started going to the owner until last year when he was forbidden by the authorities to touch anyone’s hair. I did not know he wasn’t licensed in Japan. At first I was sympathetic and then I was just mad because I needed to find a new hairdresser. I decided to try a Japanese guy, Fabio, who was working in the same salon. It turns out that I like him better than the owner. I am grateful for someone who is great at cutting hair and it’s not orange or green either.